In this lesson, you will learn how to connect two clauses by using the grammatical principle ~다 보면. The grammar within this principle is actually the addition of a few different grammar concepts piled together, but its meaning is simple enough to describe in a short lesson. 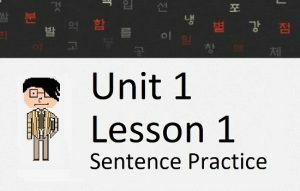 Over the next few lesson I am going to be focusing on grammatical principles that connect two clauses with the use of 보다. 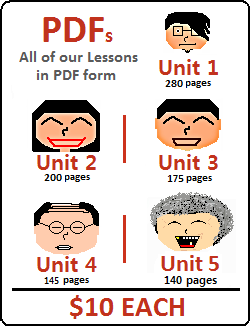 Each of these lessons will introduce a grammatical principle that is easy to explain and understand. I was tempted to present all of these in one lesson because of their simplicity but decided against it. 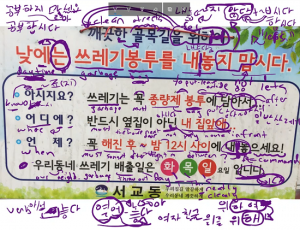 As you continue to reach higher and higher lessons here at HowtoStudyKorean, I can only assume that your understanding of Korean grammar is very good. From this point forward, you may notice lessons that are significantly shorter than earlier lessons. This is not because I am getting lazy or because I have lost my motivation to provide the best lessons possible. Rather, it is simply because there is very little to explain – mainly because everything was explained so thoroughly in earlier lessons. In no means will lessons always be like this from this point. Don’t worry – there are still quite a few grammatical principles that will take a long time to explain perfectly (look up all the meanings for the word 싶다 if you are getting to the point where you are starting to say to yourself ‘I know everything about Korean grammar.’). You have come a long way, but you still have a long way to go. 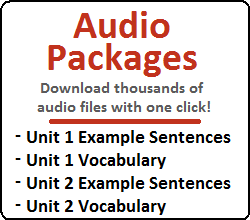 In these shorter lessons, in lieu of providing unneeded explanations, I will do my best to provide as many original examples as possible for you to get accustomed to each grammatical principle. Just to quickly go into the mechanics of what we are looking at here; the ~다(가) 보면 is actually made up of: ~다(가) (to indicate that one does an action and then stops) + 보면 (and then if they look at it/reflect on it). Note that the “가” is often omitted. However… I want to be careful about specifically using the word “bound” because that is a word that is usually reserved for the translation of another grammatical principle that you will learn in a later lesson. Nonetheless, the specific translation doesn’t matter. What matters is that you understand what the speaker is trying to express; that is, if one does something for a period of time, the second action will occur. 혼자서 살다 보면 부모님을 보고 싶은 것은 당연한 게 아니에요? = If you (continue to) live alone, isn’t it obvious that you will want to see (miss) your parents? I can’t be 100% sure that these types of sentences cannot be conjugated into the past tense. However, as you can see with the examples above, it appears to be more natural to use this form when the main clause is in the future tense. As such, you can see that almost all the sentences above are conjugated into the future tense. Even though some of them have a present tense conjugation, words within the sentence express that the end result can/will be in the future. Just like with any “if” sentence, a present tense conjugation is possible as long as the situation allows for it. Okay, click here to go to the next lesson!